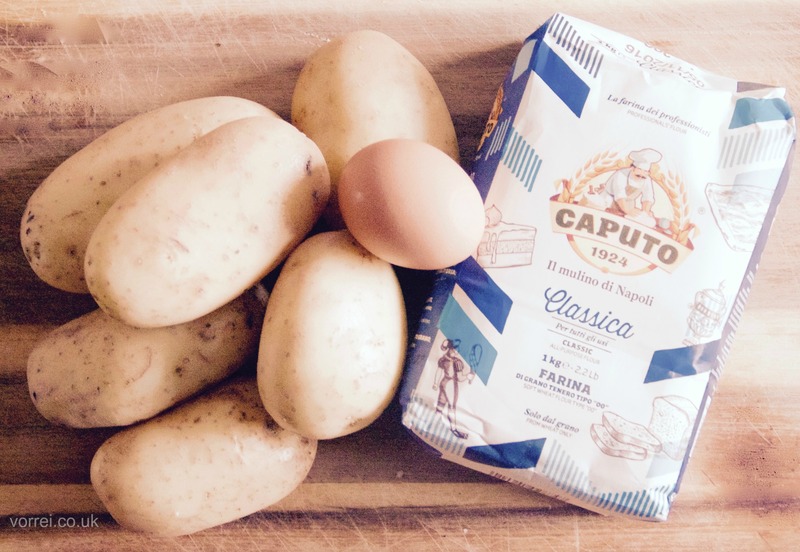 We were always a little scared about making our own potato gnocchi (pronounced ‘nyockee’) so we asked Nonna Giulia for her trusted gnocchi recipe and to show us the process step by step – and it’s actually easier than we thought! 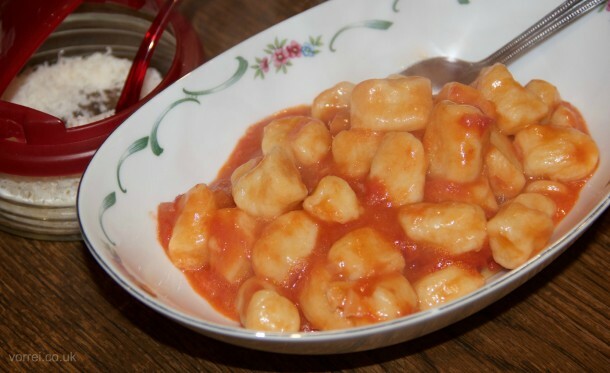 Gnocchi make a great alternative to pasta or risotto, are really filling, tasty and pretty healthy too. You need very few ingredients to make the dough and you can prepare the sauce with whatever you fancy, from simple San Marzano tomato to creamy gorgonzola. 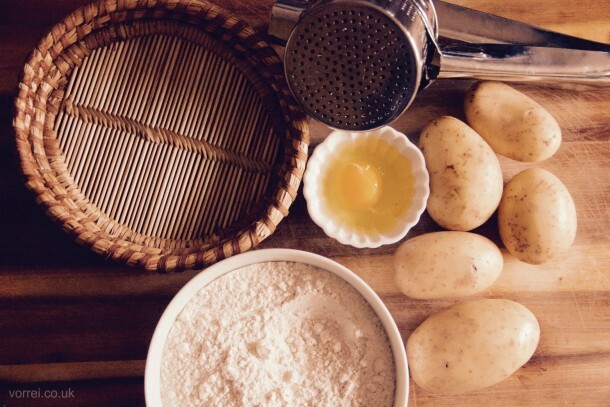 Wash the potatoes, place them in a large pan and cover with plenty of cold water (do not peel at this stage). When the water starts to boil set the timer for about 30 minutes, depending on the size of the potatoes. Prod them with a fork at the very end to see if they are cooked (avoid doing this very often or they will become too water-logged). Drain them well. Peel the potatoes as soon as you can while they are still hot and then immediately mash them and add them to the flour that you have placed in a small mountain on a work surface. Then add the lightly beaten egg with a pinch of salt. Knead the mixture with your hands until you get a soft but firm dough. Remember that if you over-knead, the gnocchi will become hard while cooking. 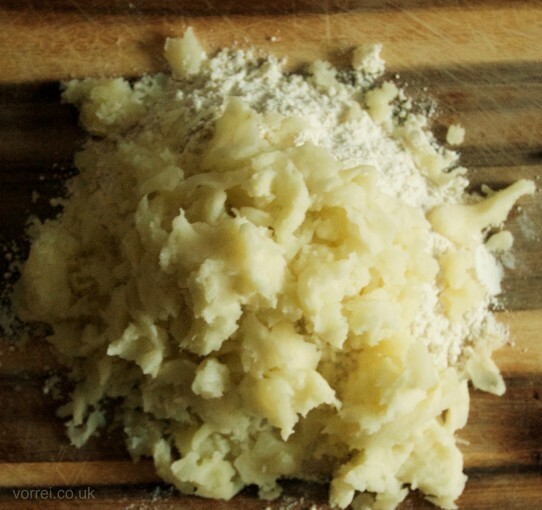 If the mixture is still sticky add a little more flour but be careful not to add too much as this makes the gnocchi heavy when cooked. Dust the work surface with a little more flour and roll out the dough. Cut or break off a piece of dough and roll it with your fingertips into long sausage shapes around 2cm wide. Using a lightly floured knife, cut the ‘sausage’ into pieces about 1.5 cm long. 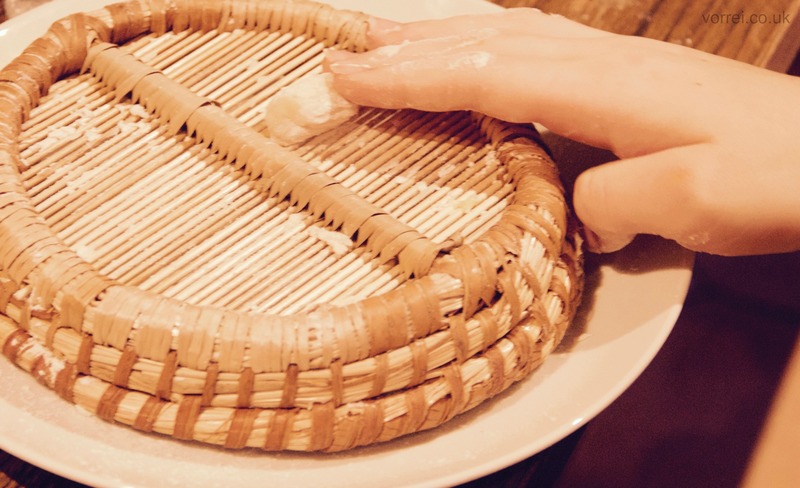 Applying light pressure with the thumb or finger roll each one over the back of a gnocchi basket to make the classic ridges in the gnocchi, if you don’t have a gnocchi basket you can use a fork instead. The textured surface will help the sauce cling to the gnocchi. 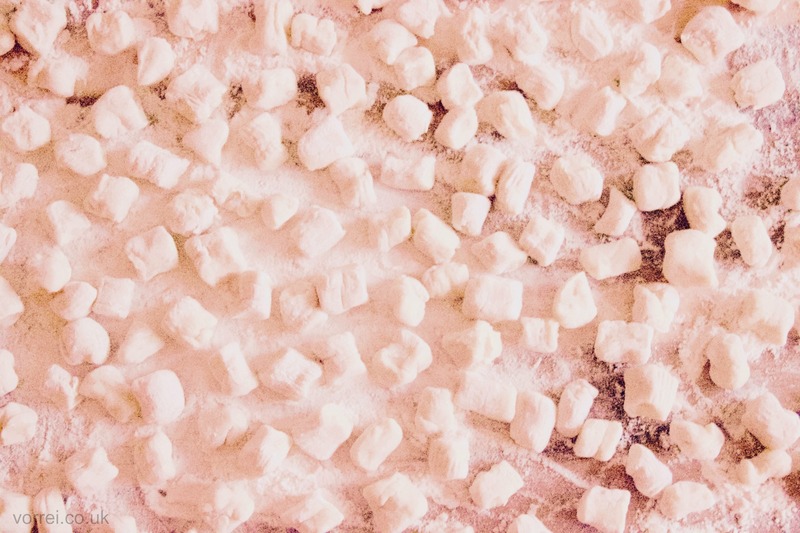 Arrange the gnocchi on a tray on top of a lightly floured cloth. Cook them in boiling, salted water. When they float to the top they are ready to be drained well and seasoned with your favourite sauce. Eat immediately! Did you know that you can also freeze the uncooked gnocchi? Just place the tray in the freezer for about 20 minutes, then remove and store the gnocchi in a freezer bag. They don’t need to be thawed before cooking.